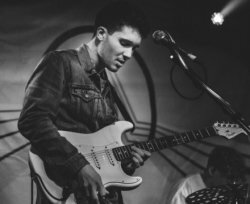 Guitarist based in Epsom, Surrey. Working as a session musician with experience playing for artists such as One Direction, JP Cooper, Will Heard, Zack Knight, Esmée Denters & more. Studied at The Academy of Contemporary Music, learning a range of genres, styles, and techniques. My playing style is based on tone, feel, ear, and enjoyment! Tutored privately for 2 years with one-to-one students. The lessons are enjoyable and tailored to each individual. Usually a slightly casual approach - to try and get the most out of each lesson without bringing stress or frustration into the learning process. Here to help, have fun and help you progress onto the next stage of guitar playing!